Figure 7-1. There are five main responsibilities of aviation instructors. Learning should be an enjoyable experience. By making each lesson a pleasurable experience for the student, the instructor can maintain a high level of student motivation. This does not mean the instructor makes things easy for the student or sacrifices standards of performance to please the student. The student experiences satisfaction from doing a good job or from successfully meeting the challenge of a difficult task. The idea that people must be led to learning by making it easy is a fallacy. Though students might initially be drawn to less difficult tasks, they ultimately devote more effort to activities that bring rewards. The use of standards, and measurement against standards, is key to helping students learn. Meeting standards holds its own satisfaction for students. People want to feel capable; they are proud of the successful achievement of difficult goals. 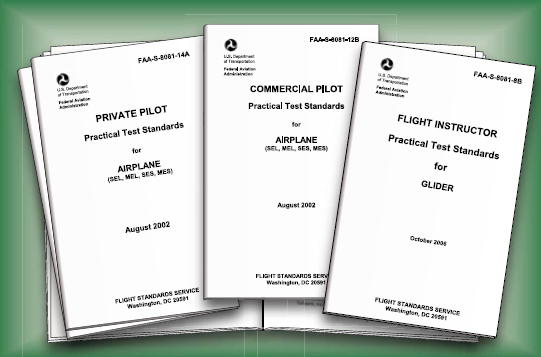 To tailor his or her teaching technique to the student, the flight instructor analyzes the student’s personality, thinking, and ability. No two students are alike, and a particular method of instruction cannot be equally effective for all students. The instructor talks with a student at some length to learn about the student’s background, interests, temperament, and way of thinking, and is prepared to change his or her methods of instruction as the student advances through successive stages of training. An instructor who incorrectly analyzes a student may find the instruction does not produce the desired results. For example, the instructor at first thinks the student is not a quick learner because that student is quiet and reserved. Such a student may fail to act at the proper time due to lack of self-confidence, even though the situation is correctly understood. In this case, instruction is directed toward developing student self-confidence, rather than drill on flight fundamentals. In another case, too much criticism may discourage a timid person, whereas brisk instruction may force a more diligent application to the learning task. A student requiring more time to learn also requires instructional methods that combine tact, keen perception, and delicate handling. If such a student receives too much help and encouragement, a feeling of incompetence may develop. A student whose slow progress is due to discouragement and a lack of confidence should be assigned subgoals that can be attained more easily than the usual learning goals. For this purpose, complex lessons can be separated into elements, and each element practiced until an acceptable performance is achieved before the whole maneuver or operation is attempted. For example, instruction in S-turns may begin with consideration for headings only. Elements of altitude control, drift correction, and coordination can be introduced one at a time. As the student gains confidence and ability, goals are increased in difficulty until progress is normal. Conversely, students who are fast learners can also create challenges for the instructor. Because these students make few mistakes, they may assume that the correction of errors is unimportant. Such overconfidence can result in faulty performance. For these students, the instructor constantly raises the standard of performance for each lesson, demanding greater effort. Individuals learn when they are aware of their errors. Students who are permitted to complete every flight lesson without corrections and guidance will not retain what they have practiced as well as those students who have their attention constantly directed to an analysis of their performance. On the other hand, deficiencies should not be invented solely for the students’ benefit because unfair criticism immediately destroys their confidence in the instructor. In some ways, an aviation instructor serves as a practical psychologist. As discussed in the first two categories, an instructor can meet this responsibility through a careful analysis of and continuing interest in students. Most new instructors tend to adopt the teaching methods used by their own instructors. The fact that one has learned under a certain system of instruction does not mean that the instructor, though well respected by the former student, used the best method. The new instructor needs to continue to grow in his or her role of instructor, seeking other resources and information to enhance his or her own teaching skills. Figure 7-2. Acceptable standards in all subject matter areas, procedures, and maneuvers are included in the appropriate Practical Test Standards. When teaching a particular procedure, an instructor might be tempted to point out the consequences of doing it differently, perhaps telling the student that failure to perform the procedure as taught will court disaster. The instructor may believe this “consequence approach” is necessary to ensure the student commits the procedure to memory, but the stated reasons for performing the procedure a certain way must contribute to the learning situation to be effective.